❝ The U.S. Food and Drug Administration recently ordered up new nutrition labels for cereal boxes, candy bars, and every other packaged food item in the supermarket. Soon, they will list not just how much sugar is inside, but whether that sugar was naturally occurring, as in raisins, or added later, as on the flakes that come with them. Though this additional information won’t be required until next year, health advocates predicted that such legally mandated disclosure would deliver less-sugary foods in its wake. They were right. ❝ Four Twizzler strawberry twists have the same sugar content as an apple, but clearly the fruit is a better choice — in no small part because it comes with fiber and Vitamin C. The FDA decision recognized that the source of sugar matters, and that listing “Sugars” alone doesn’t reflect that. The agency decision attempts to outsmart food manufacturers that commonly call added sugar ingredients by other names, such as high fructose corn syrup, agave, and fruit juice. 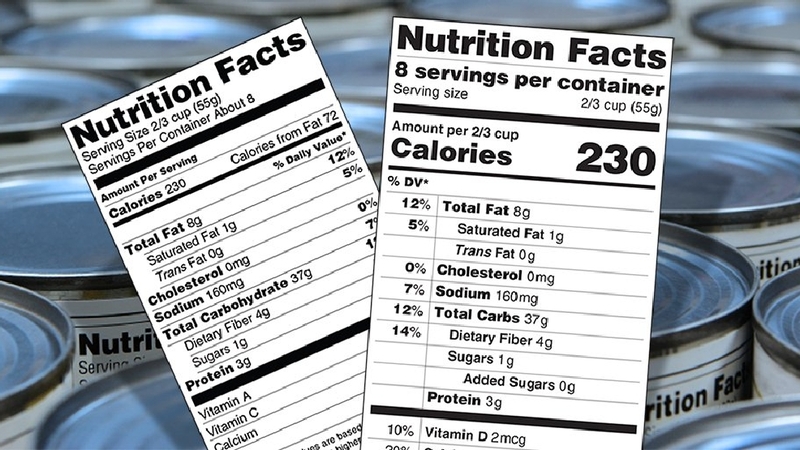 Current-ingredients lists and nutrition-facts panels, the FDA was saying, can be surprisingly deceptive. ❝ Experts in both health and the food industry predicted that the new labels would lead to reformulated products, with those marketed as “healthy” likely to be the first to get makeovers. Now that manufacturers would have to show in no uncertain terms how much sugar was being added, they would cut it, just as they did with trans fats when their disclosure became required. ❝ Companies seem to recognize the rising consumer interest in ingredients and aren’t fighting the new FDA requirement. The Grocery Manufacturers Association called the update “timely,” noting that “consumer preferences have changed dramatically since the Nutrition Facts panel was first introduced.”…Only the Sugar Association, the trade group representing the companies that make all that added sugar, pushed back, saying, blah, blah, blah, blah. An informed consumer has the opportunity to make better choices. We certainly try to do so in our family. 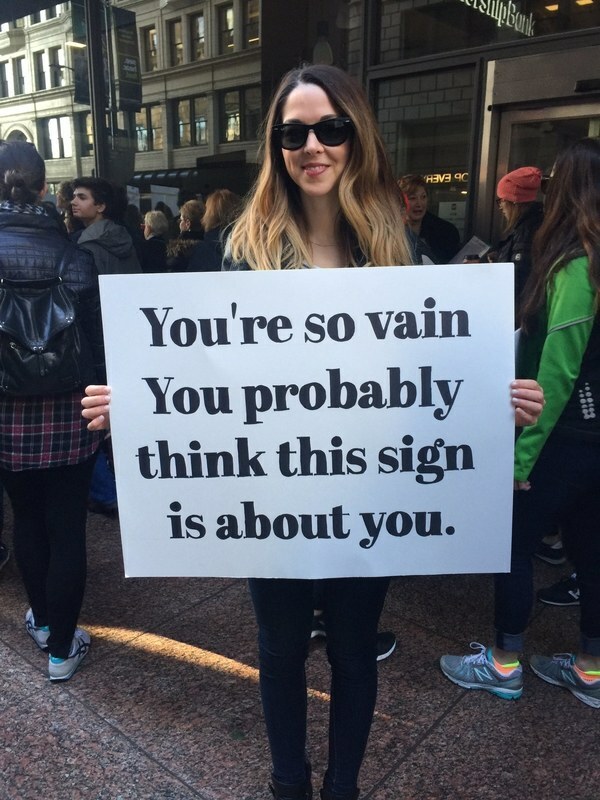 I hope that you do, too. The new nutrition panels are supposed to be easier to read – which will be a big help to folks like me who never remembers to bring along his reading glasses. ❝ North Carolina’s Republican governor and Republican-controlled legislature spent more taxpayer money defending their voter ID law — which was recently struck down as unconstitutional — than the state spent hiring outside lawyers over the previous decade. ❝ Before passing the law, the court found, the legislature studied the voting habits of African Americans, and “with almost surgical precision” got rid of the voting accommodations they depended on the most. As the vast majority of black voters in the state — as well as the nation — lean Democrat, the civil rights groups that challenged the law characterized it as Republicans’ attempt to maintain political power. I’m not certain who deserves the most contempt: Criminally bigoted politicians spending taxpayer dollar$ in an effort to return the South to racist voting laws, voters who return these scumbags to office – or the corrupt conservatives in our nation’s Supreme Court who opened the door to racist voter suppression through the sophistry of “post-racial” hypocrisy. They all deserve to be forced out of positions of power. That will take a mighty movement. One that requires a broader, deeper political coalition than we have experienced in this land since the 20th Century Civil Rights movement, opposition to the VietNam war. ❝ The oil industry has left a big footprint along the Gulf Coast, where a Delaware-sized stretch of Louisiana has disappeared. But few politicians would blame Big Oil for ecosystem abuse in a state where the industry employs up to 300,000 people and injects $73 billion into the economy. ❝ Louisiana remains the nation’s second-largest crude oil producer and oil refiner after Texas, but the industry has been on the defensive since Edwards, a 49-year-old lawyer and Democrat, ended eight years of Republican leadership last November. ❝ What’s gone is gone, but the politicians hope to keep hundreds of other square miles from disappearing. 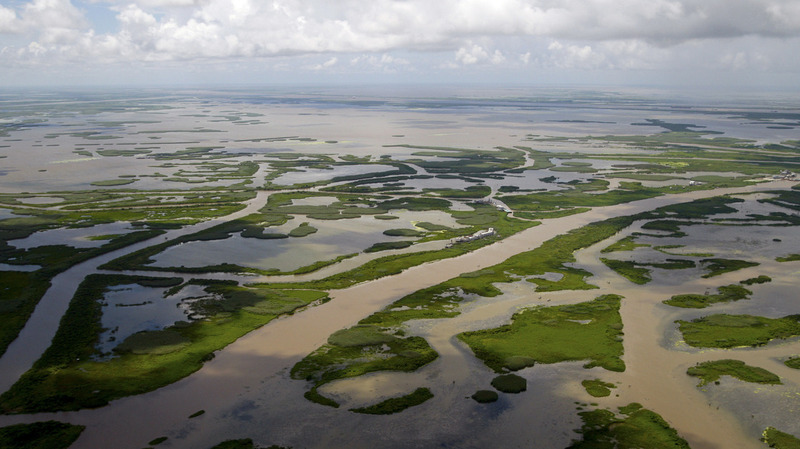 They’re envisioning huge projects to divert sediment flows from the Mississippi River and build up marsh flats, barrier islands, ridges and swamp forests. It would cost between $50 billion and $100 billion, and Louisiana doesn’t expect to have more than $25 billion to spend. The answer to that question in Louisiana – and lots of other states – starts with a list of corporations undertaxed or even exempt from paying for their fair share of public accountability. The last year I lived in Louisiana, my personal income tax bill was higher than that of Dow Chemical Corporation. And they owned a lot of Louisiana. Cripes, they even owned the state’s telephone system, then.